Copyright (c) – Asphodel Ltd.
Phonographic Copyright (p) – Asphodel Ltd. Recorded and edited in Istanbul and Athens. Design and photography at the audiOh! Room. Many thanks to Kod Musik/The British Council [Istanbul], Bios [Athens] and Naut at Asphodel. 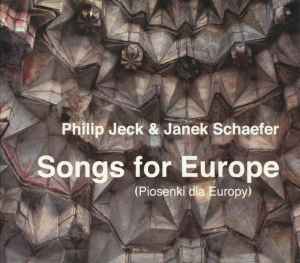 I am a big fan of Janek Schaefer, but have never really clicked with the turntablism of Philip Jeck. In this release, what I consider the trademark Jeck "clunkiness" is softened by the musical awareness of Janek. Overall, this enjoyable if uneaven release does have moments of real magic.